Do you keep a fishing diary? We like Looking Back-Striper Fishing throughout the year to see our Social Media Reports in one place. 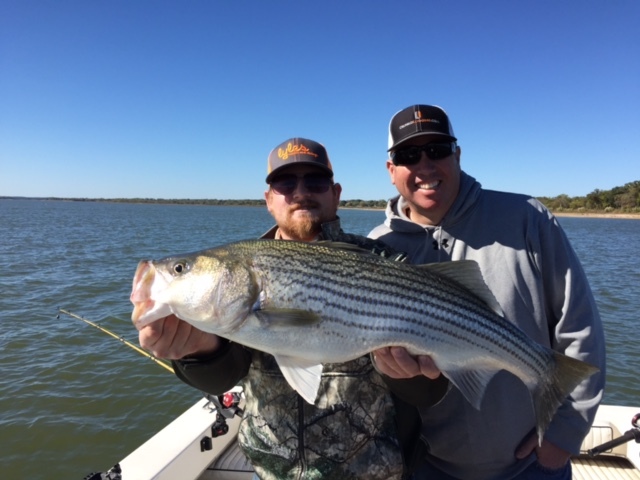 Our Lake Texoma Striper Fishing Report Blog is a great spot to log this information! Got a really busy month coming up so I went out today and did a little scouting. Got up early and went out trying to catch bait. Bait so far this year has been nearly impossible to catch for a few months. Not sure what’s going on. Last time I tried to catch bait was a couple of weeks ago and spent three hours for about 15 Shad. Today I spent two hours throwing the net and caught some real nice threadfins. The only problem was I only caught 4 in two hours. I’m done catching bait for a while. Spent about an hour pulling thundersticks and caught 8 fish. 7 were overs and only one smaller boxfish. The overs weren’t wall hangers but good solid 4-6 lb fish. Not real easy trolling by yourself. Driving the boat and Manning two rods 🙂 had a couple of double hookups but never could land both at the same time. Oh well, There ya have it. I am now a troller … next, to come is I’m gonna start parking my trailer hanging over in the boat ramp lane 🙂 got ten trips in the next two weeks. At least I don’t have to get up at 2 am to catch bait !! Guess I better start posting some reports since I haven’t posted much in a while. Really didn’t fish much in Jan and Feb. seems like every trip I had booked had to be canceled due to bad weather. Fishing is very good for this time of year. Still catching a lot of overs up to 12 lbs. haven’t been a lot of smaller box fish but the quality had been excellent. I can’t remember Feb and March ever being this good. I’m still all lure fishing and prob will till later in March as long as it stays this good. I’ve been mostly deadsticking flukes .. color doesn’t seem to really matter as We’ve been getting equal numbers on different colors. Started the day catching bait in 27-degree weather. The sheet of solid ice in the boat sure has me rethinking when I’m gonna stop catching bait ?? Think I’ll start now. Ain’t gonna do anymore bait trips when the weather is gonna be below 35 degrees in the mornings. Fished that spot for about 80 minutes keeping just the better box fish then went looking for bigger fish. Found em on our next spot Had more birds working for hours and loaded the boat. Turned into a beautiful day once the sun got up. Zero winds made the temps very tolerable. Gotta mention Ricky who told me before he even got on the bait that he has never been on a boat and has never caught a fish. Man, I gotta tell ya he was the most fun watching catching fish that I’ve had in a long time. His first fish of the day was about a 12 inches and by his reaction you’de have thought he won the lottery !! Ricky outfished everyone on the boat yesterday and never stopped giggling and smiling !! Here is Ricky with a couple of his overs for the day. Had a five boat trip yesterday with the Lonestar AG credit folks.. just for the record Scott showed up an hour early before the other 30 people just so I didn’t have to say they were late 🙂 good job Scott gathering up your group and getting everyone loaded !! It was a good day as we all headed out Half of us went one direction and the other a different direction but we all ended up pretty much in the same spot. Everyone caught lots of fish !! Thanks to Tim, Robert, Tommy, and Boog for helping out on this trip. Y’all did a great job. Unfortunately, when we went to cleaning fish the guys all went up to eat lunch so we didn’t get any pics unless the guys took any on their boats. If so post em up. As usual, I didn’t 🙂 thanks again Scott Pauly for bringing your group out to fish again! 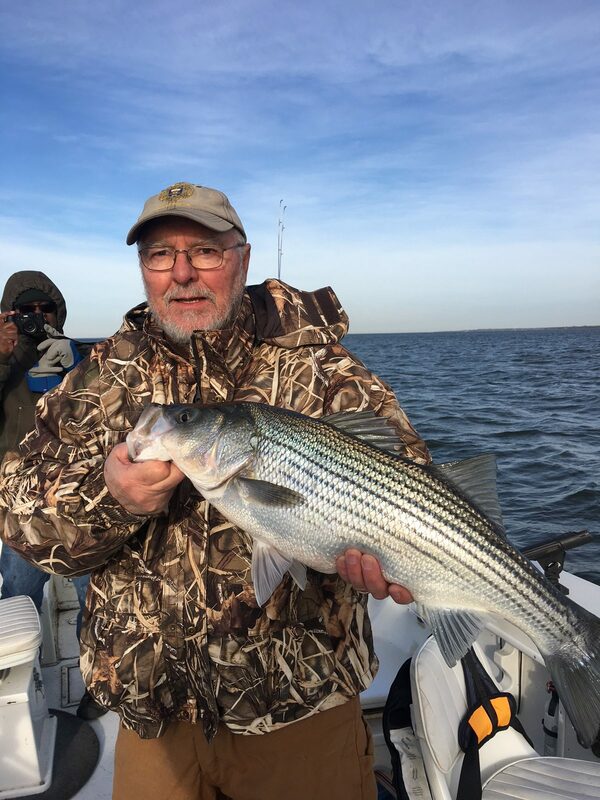 We will update this blog each month so anglers and clients can see how Striper fishing has been on Lake Texoma each season! Please LIKE us on Facebook! For more information please follow JD Lyle Texoma Striper Guide. Book A Striper Fishing Trip Today! Read More Fishing Reports Here! Lake Texoma Fishing Guide JD Lyle records his fishing log for clients and anglers.